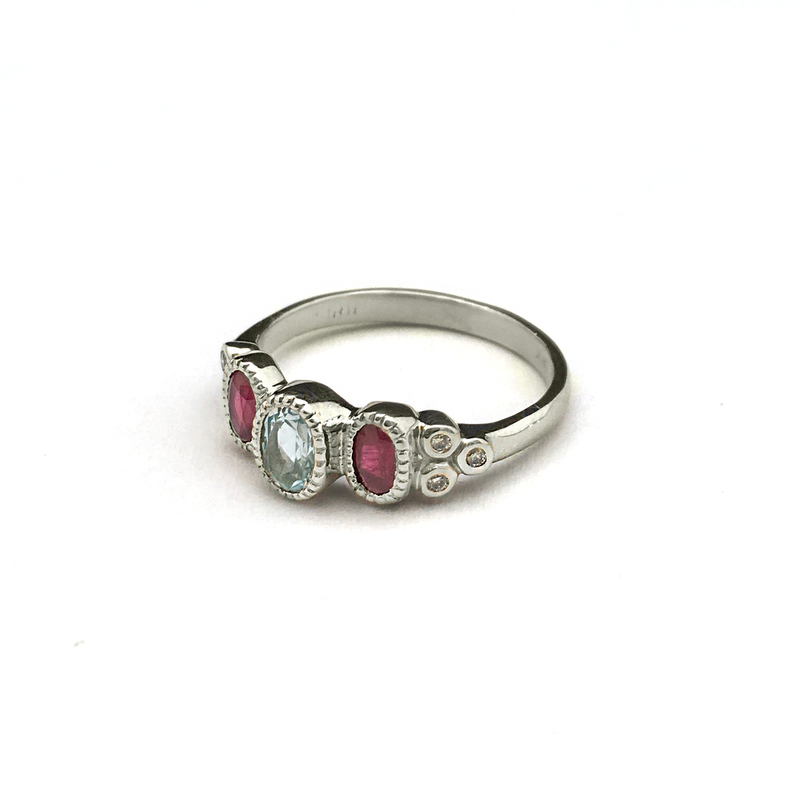 Truth to be told, my mom really lucked out on this one, fortunately the color combination of our birthstones aligned beautifully, and the design resonate my mom's personality just perfect. Can't wait to see my mom's expression when she receives the ring! 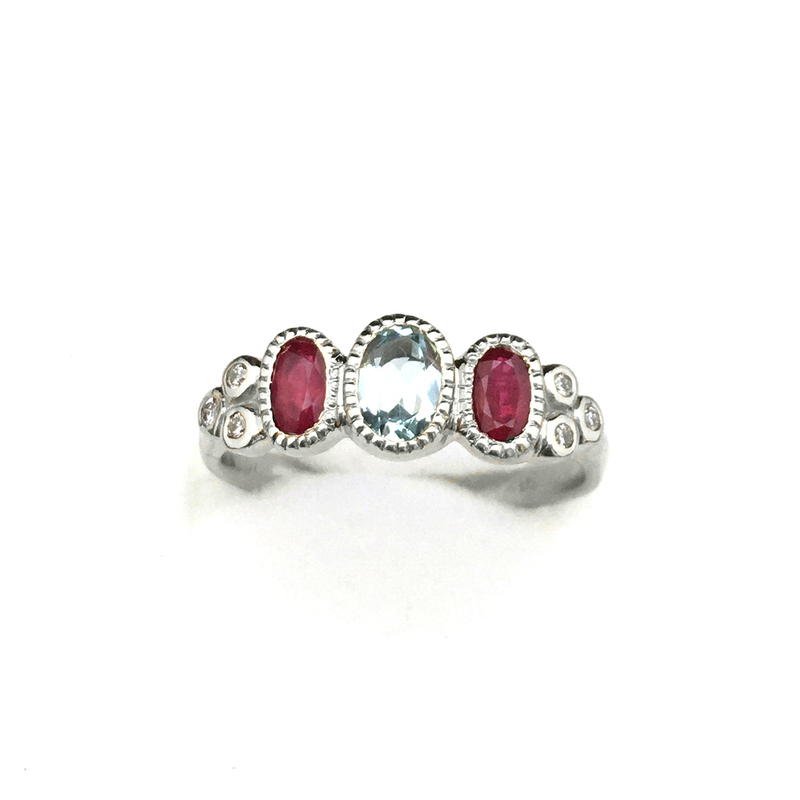 Hand-carved wax, 18K white gold, natural ruby, natural aquamarine, diamonds.